The Character Counts Citizenship spotlight of the week goes to Lakeview Baptist Church in Dixon. 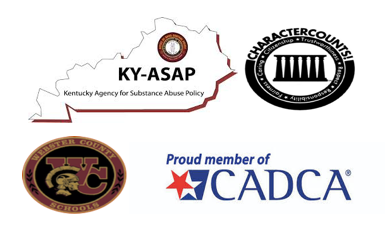 Webster County KY-ASAP True Blue DFC Coalition greatly appreciates Bro. Jody Hughes, David Phillips, and JC Jackson, from Lakeview Baptist Church, for putting the True Blue signs up around the county. We would also like to thank the individuals and agencies who allowed a sign to be placed on their property.